Voiced Sasha in the song "Call"
Voice Acted in Minecraft "Flash"
Voice Acted in Minecraft School! Greetings and Salutations~! This is the casting call for anyone who would like to be involved in the upcoming series on my channel, Maze Runner. 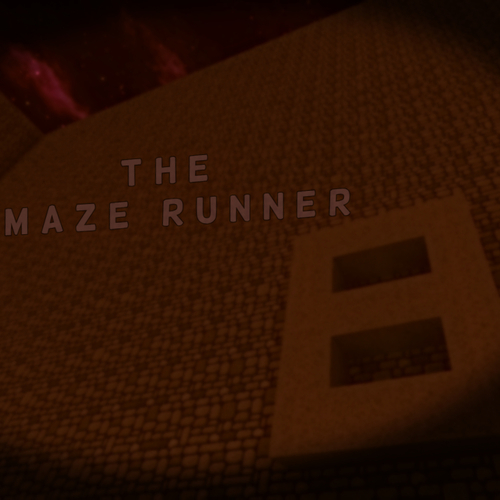 As you can tell, it's partially based off of the maze runner books. If you don't know the plot, its this a story that takes place in a world where the sun has scorched the earth and civilization is damned, adults have taken the youngest kids and brought them into a maze for testing because there is a virus that has arisen that some kids are immune to. The “show” follows these kids and their journey to escape the maze and the harsh environment and society that come after it. Whoever Auditions and gets accepted is invited to my staff team! If you do choose to apply and audition, you will get spoilers for all of the things I do on my channel and such. And you are NOT permitted to release any information of the staff team and the RPs themselves. If you do, I'll take personal offense to it and I will kick you from the staff and kill off your character you voice in the easiest ways possible. I hope to meet all of those who are accepted and I look forward to meeting you! He has dark blue eyes, pale skin, dirty blonde hair. He's the second to arrive. He's a cool guy whos nervous about literally everything since he's like a nervous wreck about everything he's mainly in charge of the farming while dal does all the heavy lifting until the rest of the troop arrives. He's 16 years old. he's a sweet guy who Jackson thought was in charge at first and then when Jackson is yelling and taking his anger and confusion out of Bev, dal comes back and loses it at him and yells at Jackson and puts him in his place. Bev is one of the nicest guys in the glade, he should have a light voice, not too deep, but not too feminine either. *scared, nervous* Wh-where am I? Who are you? *calmy* I-its okay, you're like me when I first arrived. Come with me, you should meet Dal! *confident* I... I won't stand back and let you bully me into silence anymore, Jackson! I'm not gonna be a coward anymore! He has jet black hair, tan skin, and dark brown eyes. He's a jerk and he just is generally a rude guy but doesn't question dal cause she's yelled at him before and beat the living crap out of him in a fist fight and is he afraid of her and only respects her wishes. He hates Jojo, Gabe, Kit, and Silver because they get Dal's attention more than he does and he like gets into a fist fight with Kit and it's horrid when Dal finds out. He works w/ Harper on the building committee. He’s a jerk who tries to sacrifice Kit and Silver because it started to hit the fan ever since Silver and Kit arrived and he ends up getting the crap beaten out of him by Dal for doing this human sacrifice bullcrap and dal makes a speech about how they found an exit and they are leaving, everyone gathers what they can but Jackson stays cause he doesn't want to be apart of that. He ends up coming after them and getting stung by a griever, and when he's stung Dal tries to calm him down but that doesn't work cause he picks up a gun and shoots. And once he shoots Dal is like what?? And she sees that he was aiming for Kit and he missed and on impulse, as jacks shot, Reggie uses a bow and shoots Jackson knocking him “dead” and they’re about to leave when Gabe tugs on dals shoulder and falls to the ground dying cause Jackson shot him. He is 17 years old. He's one of the only characters who swear, but he swears the most. *confused, angry* Wh-where? WHERE THE HELL AM I?! *pissed off, angry* STAY CALM?! HOW THE HELL AM I GONNA DO THAT WHEN THIS IS THE IDIOT WHO'S KILLING US! He's Hispanic (tanish skin) and he has light-brown eyes and dark brown hair. He's a rather odd guy, more on the confident persuasive side who is just rather kind and eager to learn about the glade and he's just a rather cool dude and greets all newbies when dal is too busy to. Since he's rather buff and a bit goofy, Jackson usually gets mad and angry at Bev and well Harper has to break up most of the fighting. He'siIn charge of building w/ Jackson. He's 18 years old. He's the wallflower of the glade, meaning he goes around to different activities/assignments and helps out all the time. When Dal is outrunning the maze with Reggie, Harper is in charge of the glade. *assuring* Woah, Woah Woah relax, I'm not gonna hurt you green bean, whats your name? Can you remember? *breaking up a fight* GUYS! Jesus, Bev go to the medjacks and get that cut checked out. Jackson, get a hold of yourself or I'm getting Dal to put you in the pit. *nervous* So... what do we do? I... uh... never saw that kind of thing before. She has light blue eyes, blonde-brown hair, and pale skin. She's a perky young girl who's eager and easy to get to follow directions. She's just an all in all sweetheart. She's 16 years old and head of the cooking committee cause she likes to do things for people like feeding them because she likes to supply energy to the people who she cares about. When Gabe dies, she's crushed and never really gets over it because she really loved that kid. *eagerly, excited* WOW!!! This is so cool! Where are we? *concerned, eager* So, we have all of these cooking supplies and yet, nothing's been made? Gimme a minute (she pulls out a pot) Let's do this! *concerned, sad* No, no, no no no! Gabey Baby, you're gonna be okay, w-we can fix this, right? RIGHT?! She has tan/light skinned, black hair, and brown eyes. She's a rather quiet girl who people don't understand that much and Jojo gets her to open up and relax eventually. She ends up being a medjack incase like people get hurt she's good at taking out splinters and tending to wounds. Since people rarely get hurt, she takes a lot of naps in the empty glade fields. She's 15 years old. *quietly* Why do you care so much about what I think? *annoyed* you're talking too loud, I'm trying to take a nap. *calmly* Let's just get it over with, if we wait too long it'll get infected and he'll die. He has brown hair, light-tan skin, and hazel eyes. He's a young boy whos really giddy and since he's the youngest, he spends most of his time with Jojo cause she can keep up with his energy and also loves to help in the kitchen. Since he's the youngest (14 years old) he gets called “Gabey Baby” all the time and Dal refuses to do that unless it's like in a really happy moment that she has with him. He looks up to dal and Jojo cause he wants to be like them “ALL STRONG AND INDEPENDENT!! I WANNA BE LIKE THEM! !” He's just the definition of adorable and he dies towards the end of the season and oh my god is it sad because he's being coddled while he dies by dal and Jojo. *shook* woahhhhhhhh, those walls are really high!! Wait, where am I? *scared, as he's dying* Dal- I, i..... I don't wanna die- I... I... Jojo, Dal. I'm sorry I don't think I'm gonna get to be like you... i... *quietly* I love you, sis. *questioning calmly but obviously concerned* where am I? why can't I remember anything? *concerned, wondering* Dal, why do you have all of those scars? Where'd you get them from? *determined* Dal, I want to run the maze. I want to find us a way out of here, and I promise I'll come back before the doors close, too! How 'bout this, how 'bout I race you for it? He has light green eyes, dirty blonde hair, and pale skin. He's a cool guy who gets very close to dal and they become good friends and then he ends up becoming a runner with Reggie, dal, Joyce, and tanner. one night he doesn't come back from the maze and they find him as he's dying and OOF IS DAL UPSET ABOUT IT and she makes sure no one is allowed to be a runner unless they are PROVEN WORTHY. Before he dies, Dal finds him carving his name in the wall and is like wow that's a cool idea let's all do that and every time a new person comes up (so there's a wall of carved names now) And after he dies Dal hallucinates seeing him showing a newbie how to carve their name in the wall. Before he dies, he's the greenie mentor who tries to find what the greenies/newbies are good at and assign them a job. He comes back in flashbacks and dreams, so even after he dies Dal thinks about him. *assuring* Hey, hey hey, relax, Greenie. We've all been in your shoes before, c'mon I'll show you around. *while he's dying* D-dal... I-its okay, don't worry about me... I... I'm so proud of you.... take care of them... *softly*, please. He has black hair, dark brown eyes, yellow-tan skin. He's an upbeat guy who is a flirt but also really kind and caring and he's a mentor for newbies with Ray and then becomes a runner. He gets stung trying to save Joyce from a griever and he gets banished after putting Kit in a choke-hold almost killing him. He and Joyce are in a relationship as well and Dal refers to them as the one good thing that came out of this place. When he's bannished, his body is found a few days after, by Joyce. *flirty* So, do you come here often? *introducing* Heya Newbie, I'm Tanner, and you've already met Ray, but we're gonna be your mentors for the next few days! *fighting Kit* YOU! YOU TRAITOR! I SAW YOU, IN THE CHANGING! I'LL KILL YOU! She has medium-dark skin, brown eyes, and black hair. She's a quiet girl who alongside Tanner and Ray became mentors for the newbies that arrive, later on, she becomes a runner. Her and tanner were in love and basically, she finds a letter tanner wrote to her in case something were to happen to him (a practical suicide note) and she purposely stays out in the maze too long and gets killed. She's the third to die after Ray and Tanner. *calmly* Tanner and I were just talking out here, what's up Dal? *curious* So we're going to be going in and out of the glade? Nice. *pleading* Please, Dal! Please don't do it, he didn't mean it, you know Tanner, it was the injury, he wouldn't do something like this! He has light brown hair, light green eyes, and tan skin. When he arrives, it's really weird. Like usually Harper helps the newbies out of the box but Dal did it because she has a flashback of him and remembers him for some odd reason. When he gets up he goes into a panic and is like WHAAAT and then runs out into the maze and dal is like aRE YOU KIDDING ME YOU IDIOT GREGGRTH and dal and Reggie have to run after him and they get stuck out in the maze because of Kit. After they survive the night in the maze, dal punishes him by putting him in the pit and then has Bev and Gabe show him around the glade. He's the low key love interest of Dal's but Dal refuses to admit it. *nervous, stunned* Wh-what the hell? Where am I?! Why can't I remember?! *joking, kinda flirting* So I'm guessing you don't get to relax often, hm Dal? *suddenly concerned* Wait-- where did you get those scars? *determined* I don't give a damn Jackson! You can sit here and hate me all you want, but I didn't do anything, but if I did, I'm TRYING to make it right. She has black hair, blue eyes, and pale skin. She arrives a few episodes after Kit gets released from the PIt and assigned to be a runner. When she arrives, Jackson remembers her and it's super weird because he doesn't trust her or Kit. She also has a big crush on Kit and it's obvious. She's the last greenie because the box stops coming back to bring more supplies and such. She's super jealous of Dal because Kit likes Dal more than her. Eventually, she warms up to Dal and they become good friends and Sil develops feelings for Dal and Bev. *frustrated, complaining to Harper* I can't believe it! How come she gets to talk to Kit alone and I don't?! *kindly, nervous* Dal... I uh, I wanted to know if we could be friends... I know half the people in the glade don't trust me right now but... I want to prove them wrong, that they CAN trust me! She's the CEO of WICKED (world in catastrophe kill zone department). She plays a small role in season one but she's a big deal in seasons two and three. She doesn't like Dal and the gladers, but she likes Silver and Kit. *calmly* Just remember, WICKED is good. *assuring* Kit, you're incredibly important to making this project successful. That's why I need you to do this. It's okay, WICKED is good. *demanding* STOP! Don't take another step forward, (spits out her name like its an insult) Miss Dal. *ordering* Get off the ground, let's go! MOVE IT! *trying to piss off Dal* And what are you going to do about it, red? He's/She's one of the main commanders/leaders of the rebellion against WICKED. Dal finds a damaged walkie-talkie that was dropped from a rebel helicopter by Will so he/she could tell the people of the last maze what was really going on and why they are in the maze. Unfortunately, when Dal finds the talkie, it cuts out of all the important things will says. And dal is left to assume things and be plainly confused. When Dal and the gladers meet Will, Will recognizes Dal as their long-lost little sister. Will isn't immune to the flare either so they have to be very cautious. And, they're super protective over dal. *warning* This is Commander Morris of the Right Fang, do you copy? *demanding* Who are you? How did you find this place?! *happy, shocked* Dal, is that you? For the first time shes introduced, she's a very conservative person who does what she is told. When she realizes that WICKED, the organization that she is working for, is doing the WRONG thing, she decides to join the rebel side. When she does, she breaks out of her "shell" and shoots her previous superior whos about to kill Reggie, and proves her loyalty to the Gladers. She then helps save and evacuate the "test subjects" or the immunes who were held imprisoned. *reporting* Sir, the rebels escaped again, they took at least two train cars full of immune. *annoyed* Emre, I don't care that you're the boss of me, I'm doing my job. *after betraying WICKED* Relax, I just shot my previous co-worker in the face, you can trust me. Myra is basically the Brenda of the series. She's sassy, smart and absolutely hilarious. She seems like she doesn't care if the gladers live or die, but she really does. She becomes close friends with Jojo and Dal and shes also the sister of Gabe. When she and Dal get separated from the group when they are escaping WICKED, she gets bit by a crank. Eventually, she ends up being cured by a doctor at The Right Arm's camp. *confused* Vladimir, you're making absolutely no sense! What do you mean we have to leave?! *telling Dal of what it was like before WICKED took people* When the virus hit, I was about 6 years old. I had a brother, he was only around 4 years old. They came and started taking people, mainly young people, who were immune. They took him, but... they didn't want me. (what was his name?) His name was... Gabe. *slightly sadistically teasing the gladers* C'mon idiots, or do you wanna get eaten alive by our guard dogs, hm? For seasons 2 and 3 I'm gonna need some voice actors for characters I haven't given names yet, so audition here if you want!! ??? (a girl) : *calmly* Relax, I'm a doctor. Let me take a look at that wound of yours. ??? (a boy) : *pissed off* I don't give a DAMN what Will's gotta say, I'm gonna pop a cap in this jackass right now! ??? (a boy or a girl) : *persuading, kinda lazily* So, my friends, how can I be of service to you, eh? *whisper* hey, red, down here! *rushing* Dal, Kit we need to go, now! Grab your friends and lets book it.